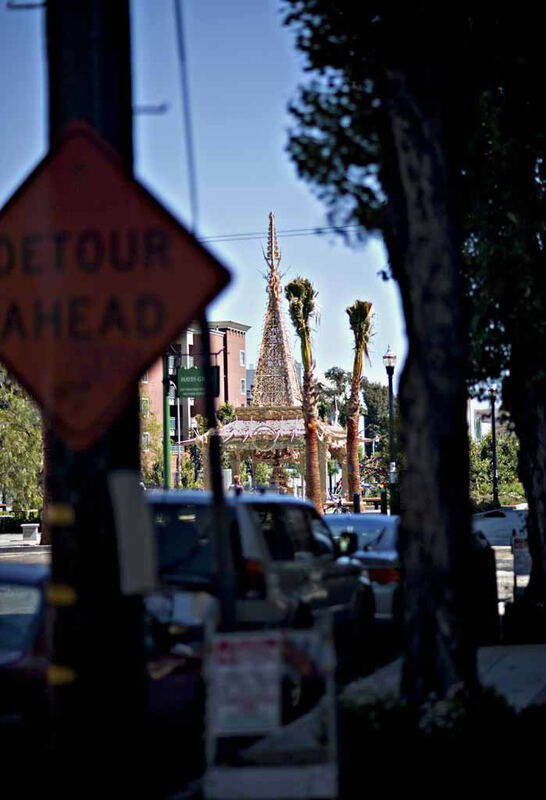 This lovely Buddhist shrine was put up on the street leading to the freeway and only kept up for a short time. At least I have a number of photos documenting it. This is the first, showing the main approach to it from the street. ©2010 Mark B. Anstendig. All rights reserved.